Cervical cancer is more likely to be treated successfully if detected early. Mayo Clinic suggests that women should begin screening at age 21 with a Pap smear or human papillomavirus (HPV) DNA test. 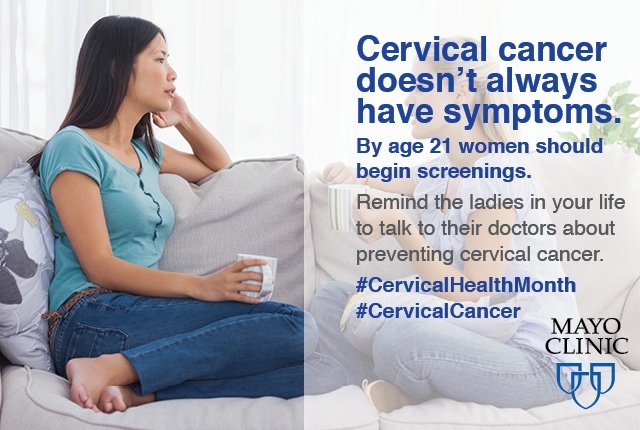 Share this post with the women in your life to remind them to get screened! Cervical cancer is more likely to be treated successfully if detected early.